And so it goes with this new track, just released a day or so ago. Called “Introducing Palace Players” (these crazy Danes) from their new album “No more stories…” (I’m not going into that one now), it does that whole noise to tune thang rather superbly. Plus, it’s a kind of New-Order-Timbaland-Prince-MGMT-Girls-Aloud type song. I really don’t know how to describe it. What In God's Name Is That??? And on another note, I feel I’m too old to like Passion Pit, but who cares when they make tunes like this? “Palace Players” has eight beats to the bar. 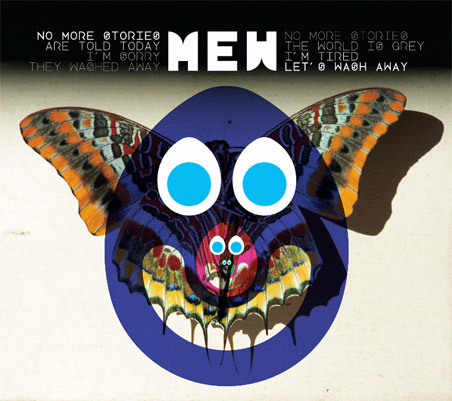 There’s so little originality in music; Mew are treasures. Mind you, it’s not as bad as the “And The Glass Handed Kites” cover, which is probably still giving graphic designers sleepless nights. As for originality, yep, there’s Grizzly Bear and Radiohead and….who?